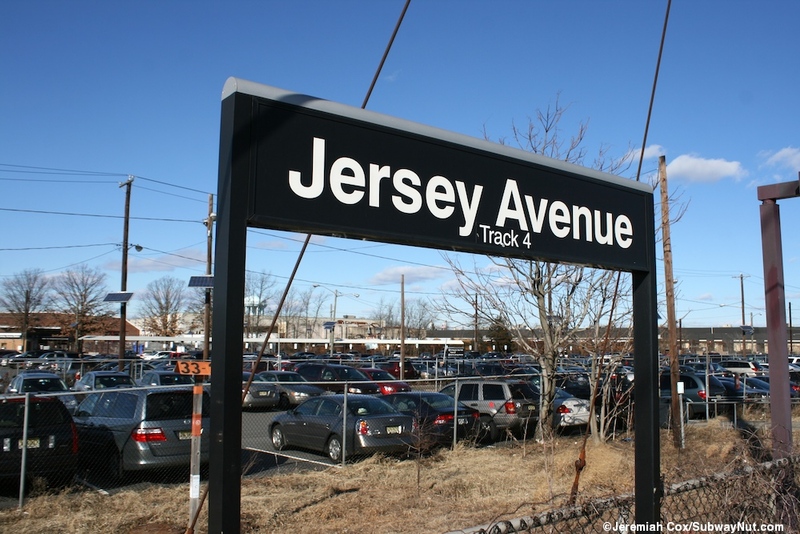 Jersey Avenue has one of the most unique layouts, service patterns and history of any railroad station I know about. 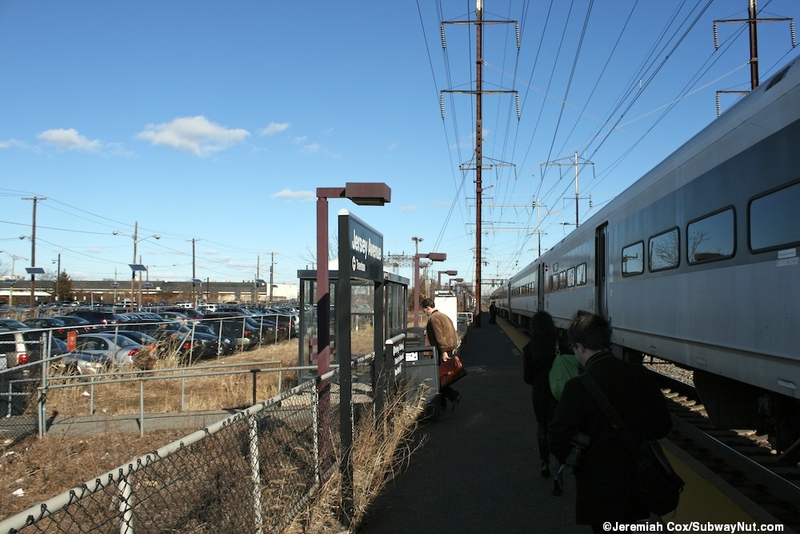 It could be seen as the prototype and predecessor (along with the Dempster Street Terminal and Chicago's Skokie Swift which opened under a similar program the same year) of the modern Commuter Park & Ride that have been the model used (at least to some degree) of all modern mass transit and commuter rail projects in this country. 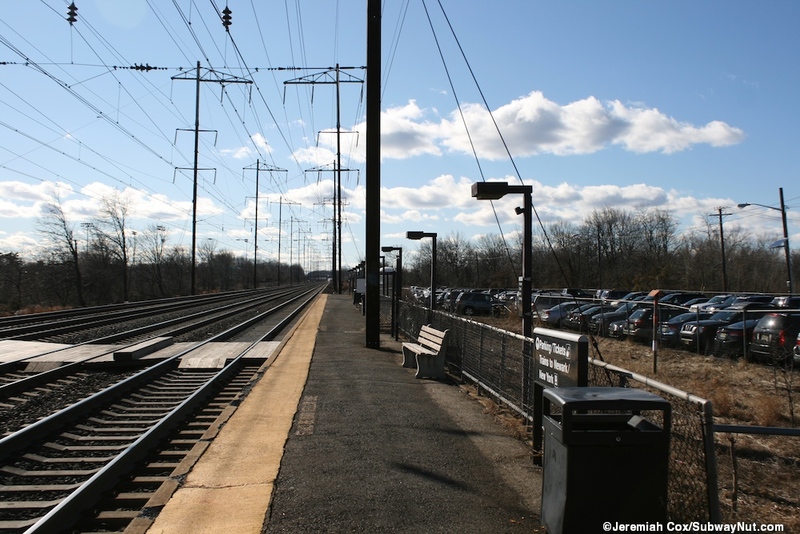 The stop was funded by the Federal Housing Act to build "a new suburban railway station that...will offer commuters free parking only a short walk from their trains"and "designed to test the effect such a depot would have on railroad usage. 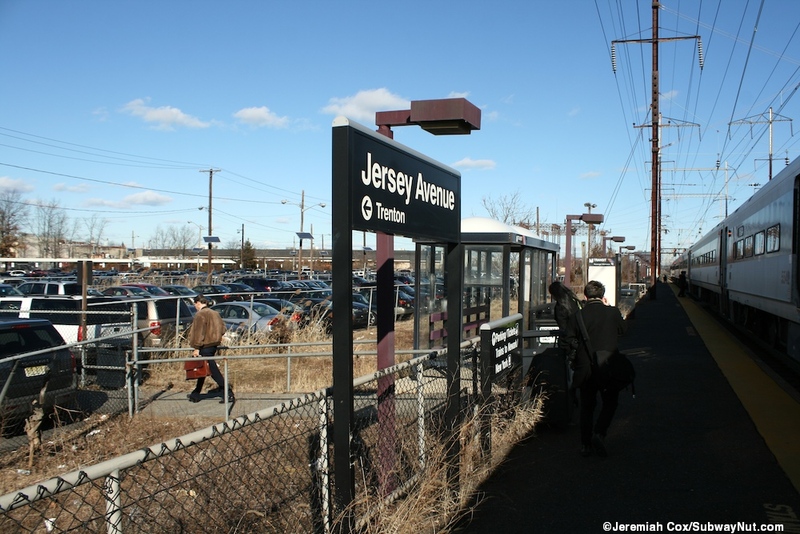 "("Ground is Broken in Railroad Test,"NY Times July 17, 1963) and broke ground on July 16, 1963 with both the Governor of New Jersey and officials from the Pennsylvania Railroad present. 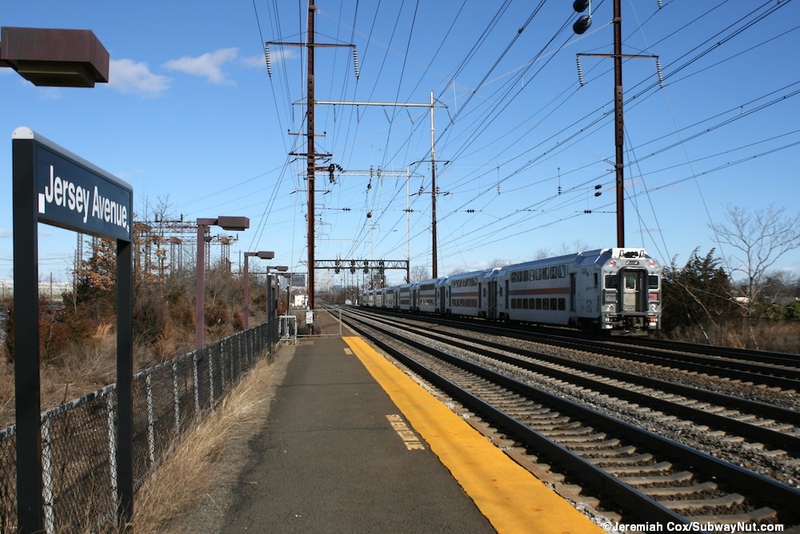 The stop was to be open just for an 18 month experiment to see if the station's "easy access will generate additional use of rail service, whether it will divert passengers from the downtown station and thereby relieve local traffic congestion and whether it will divert passengers from other means of travel"(Ibid). 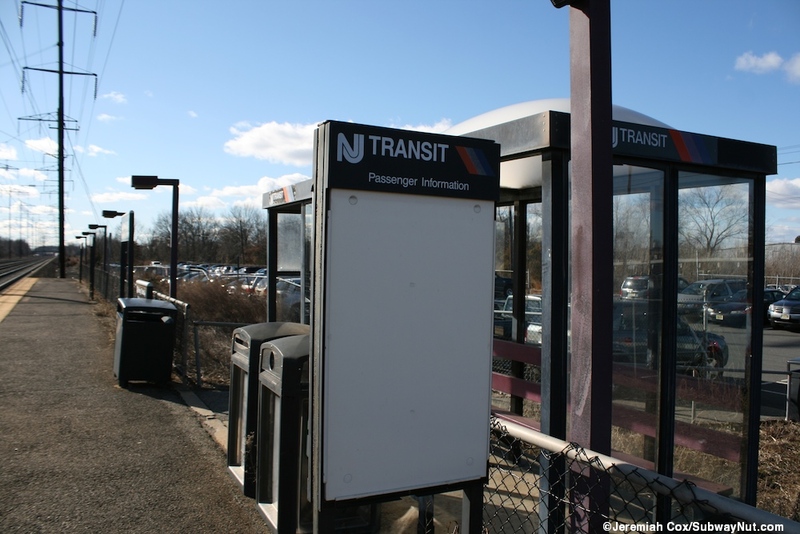 The stop opened on October 28, 1963 (Link) and was projected to cost $256,185 (in 1963 dollars, just about $1.8 million in today's dollars). The stop was definitely a success. The station feels like it hasn't been changed or improved since its prototype opening except for more parking (I presume) being added and parking is no longer free with most of it controlled by permits, there are a total of 1,354 controlled by New Jersey Transit and some more controlled privately in the industrial area around the station. 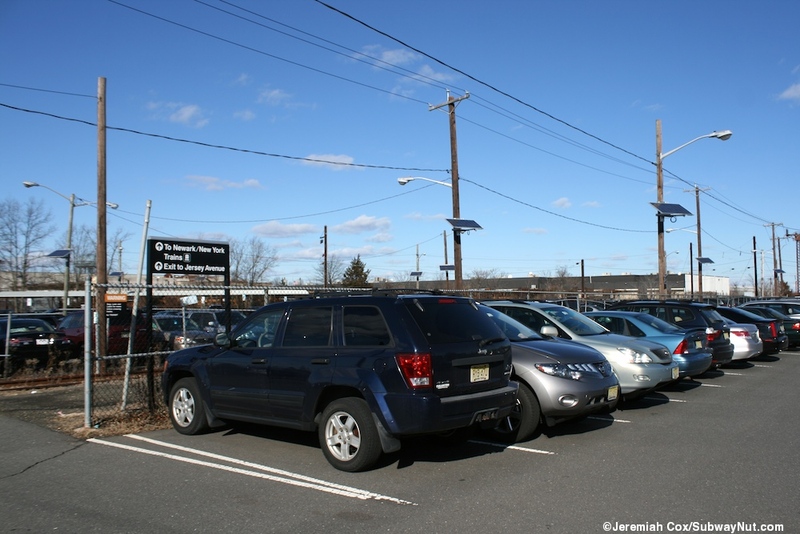 All of the parking closest to the station (except I presume some for this disabled) is reserved for permit holders, daily parking is only in the secondary overflow lot across Jersey Avenue. The stop has probably the most unique service patterns and it is only open (with trains only stopping) during the week. 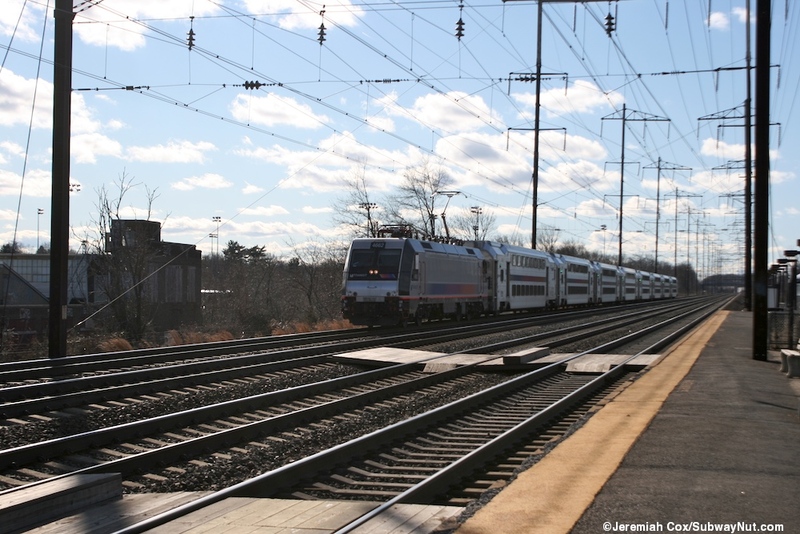 Service into New York City is only provided by 12 trains that originate at the station between 5:01am and 9:18am. 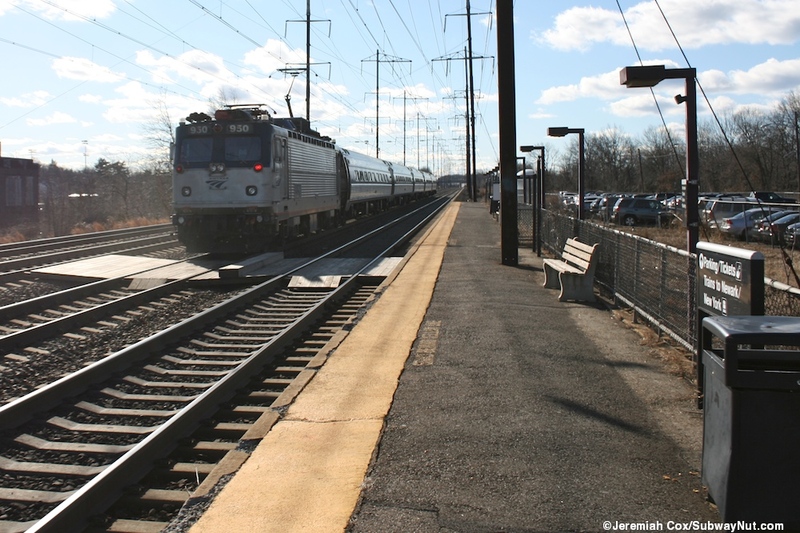 Southbound service to the station is provided by 33 southbound trains that make the stop intermediately on their way to Trenton, plus 12 trains that terminate at the station, six of these are evening trips that overnight in the County Yard just north of the station, while 6 are AM trips that pull into the station, terminate before going back to New York City. 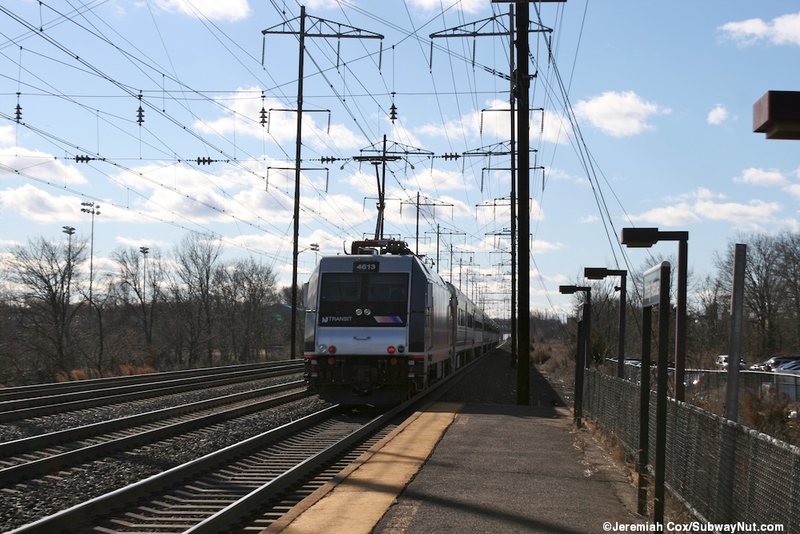 Arrow MU trainsets are used for all trips that originate to and from the station to avoid vandalism of the fancier push-pull MultiLevel Equipment because the County Yard is relatively unsecured. 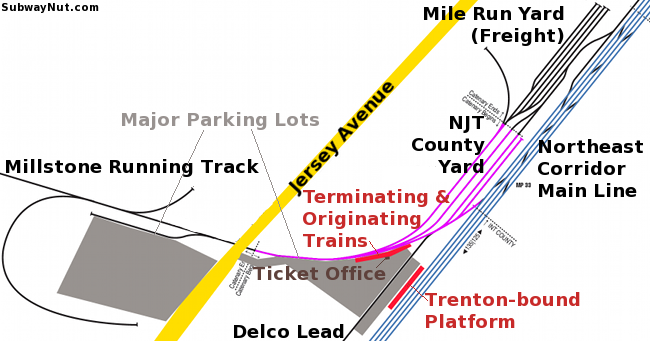 The reason for this unique service pattern is the extremely unique layout of the station's two platforms, see Figure 1, and tracks which are interspersed by two different Contrail controlled industrial stubs and a freight yard. 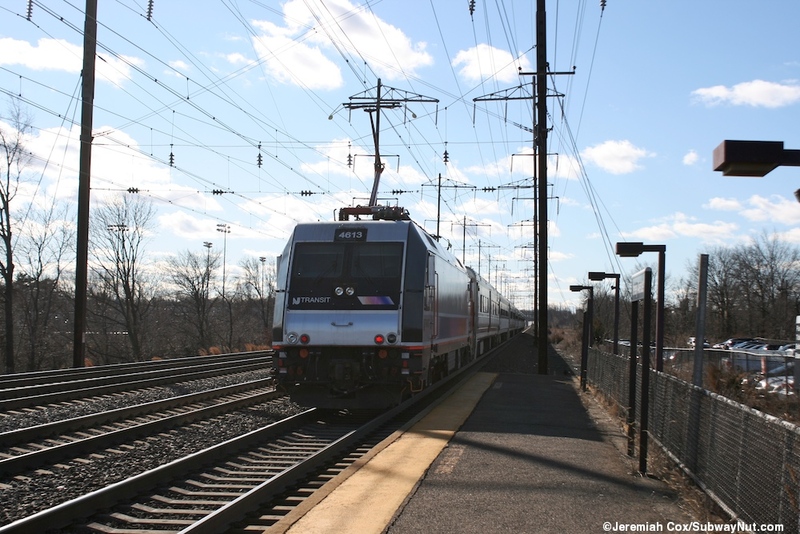 There is only a platform on the main for Northeast Corridor for Trenton-bound trains. 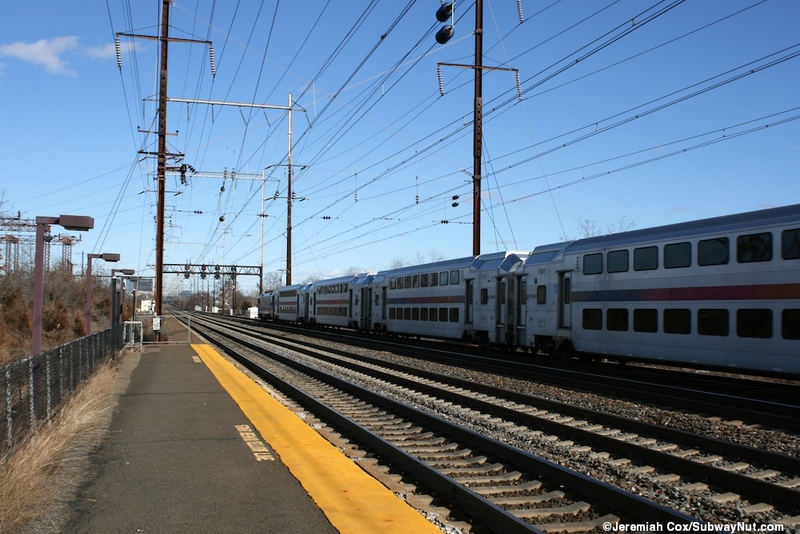 New York-bound trains much originate at the station on the stub track on the Millstone Running Track and then cross-over the southbound tracks at a grade to continue on the proper tracks north. 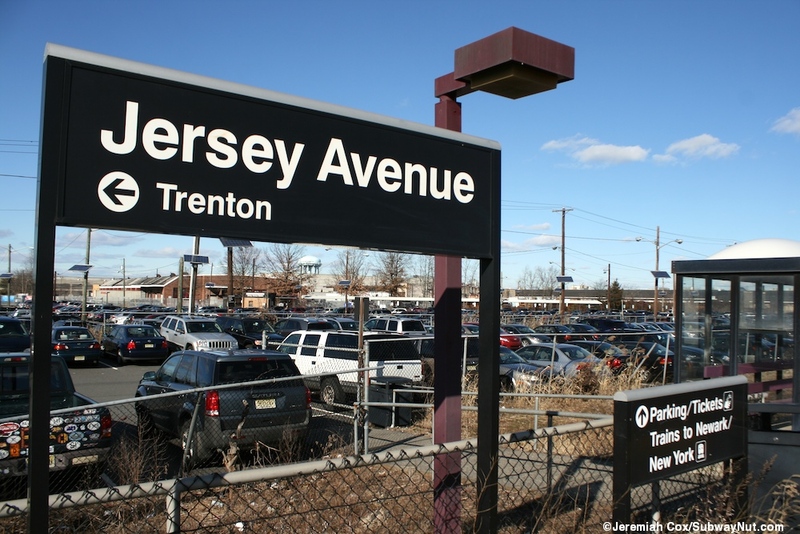 Arriving at the station from the one entrance on Jersey Avenue in its industrial area one begins along the driveway to the station first along a sidewalk before it peters out forcing arriving passengers to walk in the street. 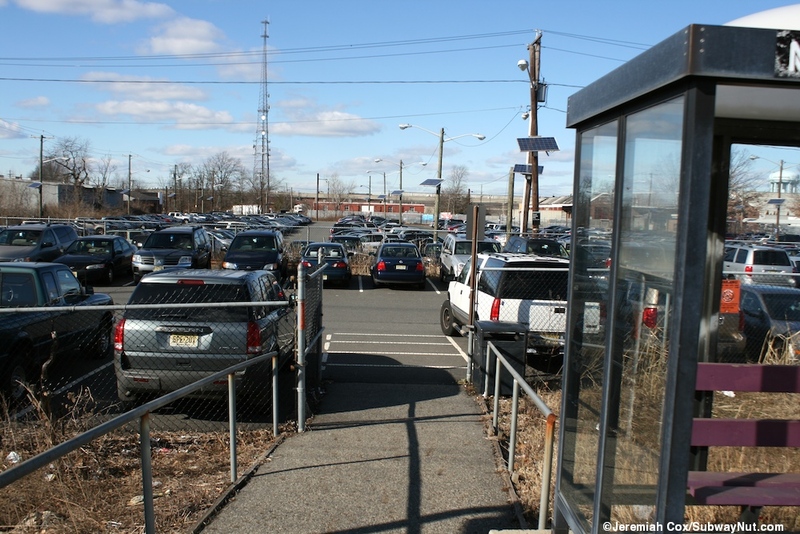 This lack of sidewalk is no small matter because all passengers parking in the daily and overflow lot must cross Jersey Avenue as well without a traffic light. In the overflow lot there is a white domed bus shelter covering machines for parking fee payment. 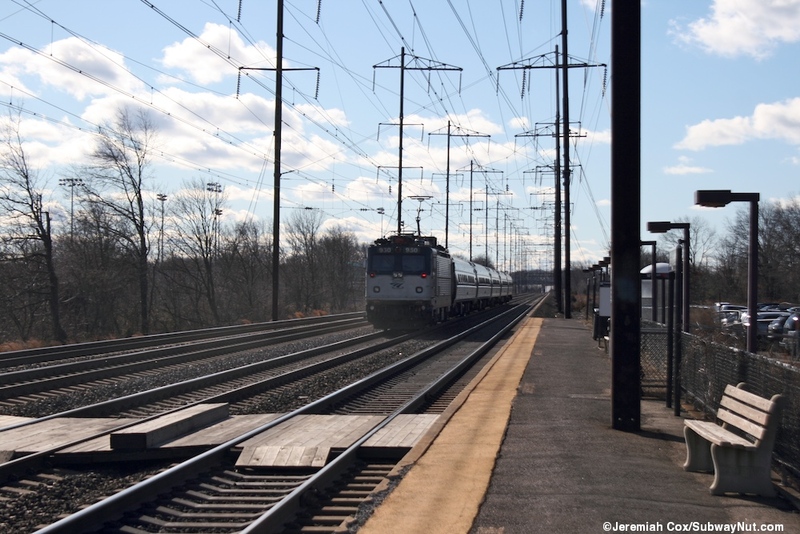 Arriving at the station one first reaches the New York-bound platform along the northern edge of this main parking lot. 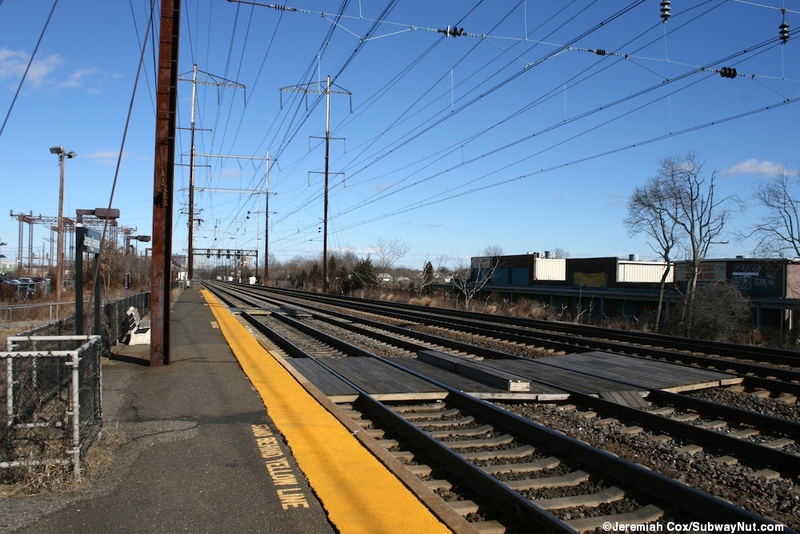 This low-level platform has just a painted yellow line for its platform edge. 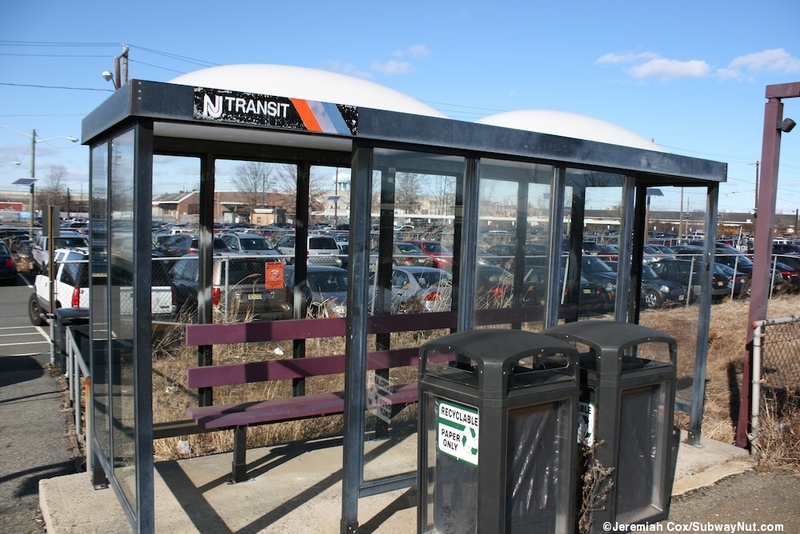 Then a small single story concrete shed building is reached and attached to each side of it are double wide bus shelters each covers a bench one also a US mailbox. Inside is a small room with a single ticket window open from 5:50 to 9:20am weekdays but no benches to wait inside. The curving platform for the track begins switching into County Yard (where trains are stored overnight) before the end of the platform. The eastern (northern) end of this platform extending from the station house has simple purple support beams holding up a canopy for passengers to wait under. There are two TVM beneath the canopy here. 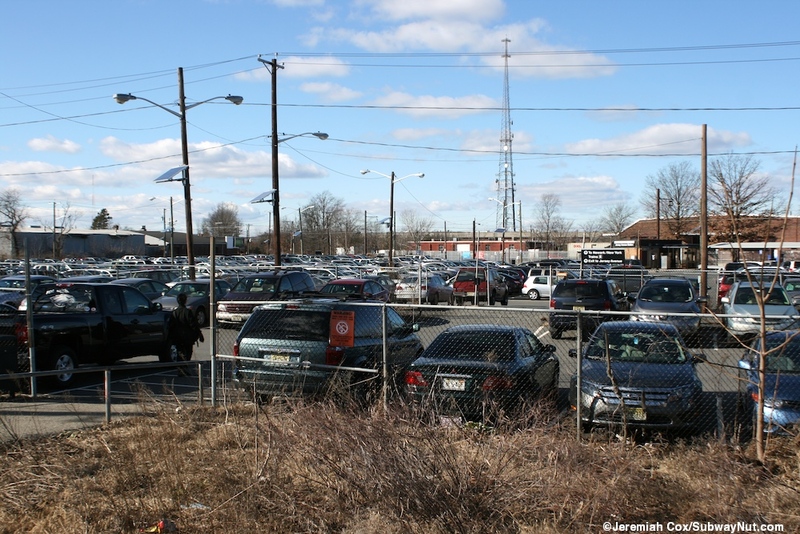 To reach the Trenton-bound side platform one continues through the main parking lot, crosses at one of the numerous unguarded crossings of the Delco Lead track and reaches a smaller little parking lot before coming to a fence at the edge of this parking lot, from here there are two fenced around walkways (covering empty shrubbery) that lead to the simple, low-level side platform on the edge of the four NE Corridor main line tracks where trains can pass through at up to 135mph. 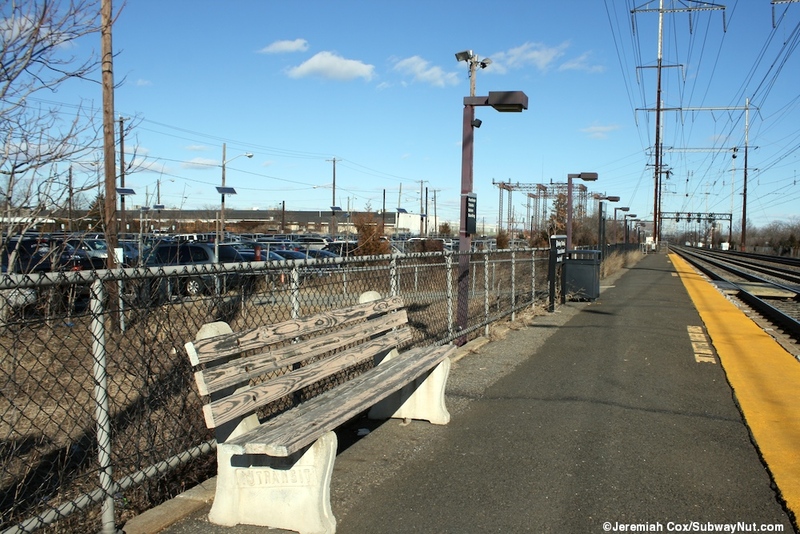 This platform has a few wooden benches for main line passengers and a single white domed bus shelter with a bench. A single wooden pedestrian crossing leads across 2 of 4 tracks allowing the 2 middle express tracks to in theory open there doors blocking the other tracks of the NEC.